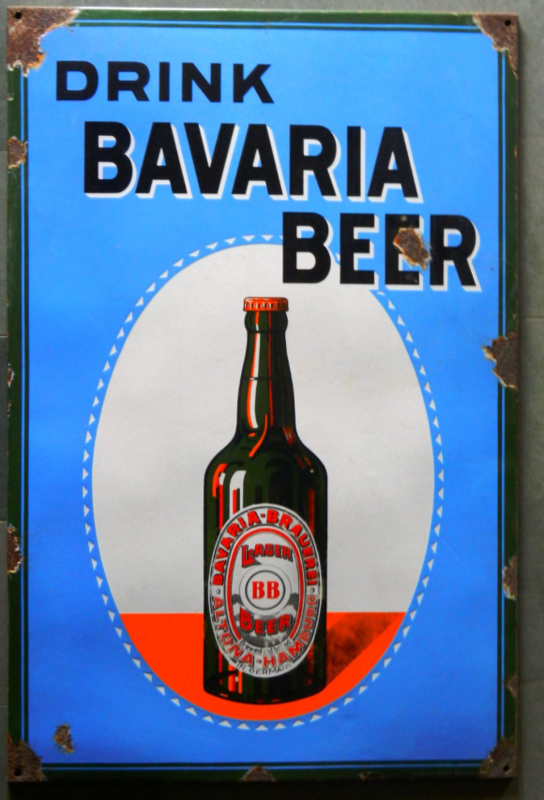 This is a rectangular Bavaria Beer porcelain sign. This particular Bavaria Beer sign features a green Bavaria Beer bottle on an orange table with a blue background. It reads, “Drink Bavaria Beer”.